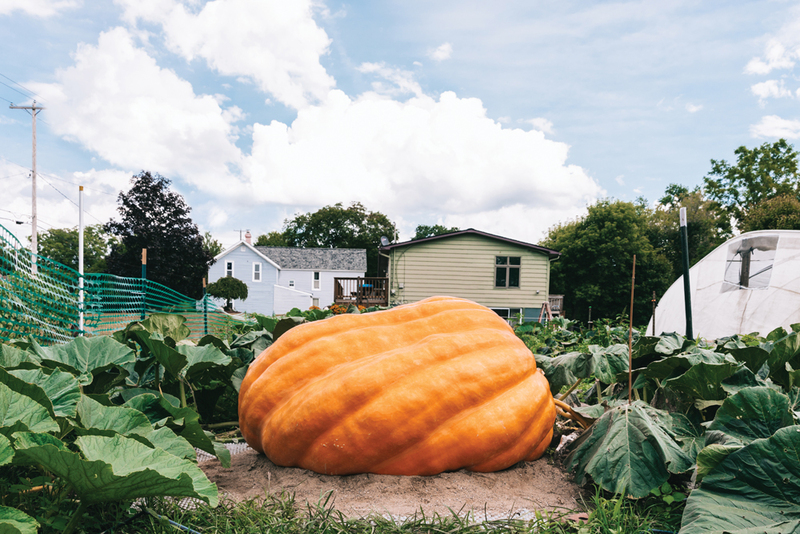 The biggest pumpkin ever grown in Michigan weighed in at over 2000 pounds. 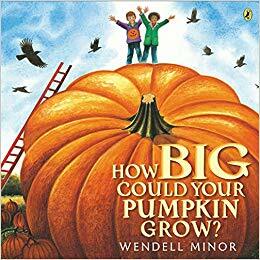 It must have been a pumpkin like that that inspired Wendell Minor’s How Big Could Your Pumpkin Grow? This is a story to delight and inspire any pumpkin lover’s imagination. Minor starts with an image of a typical festival-winning giant pumpkin, then moves on to imagine what even bigger pumpkins might do. Serve as a boat? Appear at Mount Rushmore? Gobble a roller coaster? How Big Could Your Pumpkin grow could spark creative fall activities in art, language arts, or math. How much fun would these be? Continue the book by drawing pumpkins in more amazing places. Young children could create pumpkins in their neighborhoods; older students could draw pumpkins around the world or across history. Write a new book using a new fruit or vegetable. Consider how the shape of the vegetable might change the adventures it might have. Or think about the math problems the book might inspire. For example, find the height and weight of real giant pumpkins, and then think about how to calculate the weight of some of the illustrated pumpkins. How tall is Mt. Rushmore? How big would that pumpkin have to be? How heavy? If you’d like a preview, or a bit more inspiration, enjoy this trailer.